Even though he has had an enormously successful nine-year career in professional soccer, Sinisa Ubiparipovic has never forgotten where he started. Ubiparipovic recalls with great joy his time with Cleveland United Soccer Club, his first youth club after moving to the U.S. from the former Yugoslavia. He was a promising footballer in Eastern Europe, but his development continued here in the States with Joe Raduka at Cleveland United. He won many cups and tournaments during his time with United. He particularly enjoyed those rivalry matches against the Cleveland Internationals. Along with brother Slavisa, who is also a professional soccer player, Sinisa led the club through a golden generation. He would become a star in the collegiate game, playing at the University of Illinois at Chicago in 2002 before transferring to the University of Akron. At Akron, he was named an NSCAA All-American his last two years and was the 2006 Mid-American Conference Player of the Year. Sinisa would go on to play in MLS and the NASL with the New York Red Bulls, Montreal Impact, and Ottawa Fury. He would log over 80 appearances over four seasons with the Red Bulls, playing in the U.S. Open Cup and CONCACAF Champions League in addition to international friendlies and league play. He would play alongside some of the world’s biggest stars with the Red Bulls, including Thierry Henry and Rafa Marquez. The Red Bulls would even make it to the MLS Cup Final in 2008. He would sign with the Impact in 2011 and be named Newcomer of the Year, finishing as the team’s top passer and one of the leading goalscorers. It was clear that Sinisa enjoyed his time there. He noted that others Canadian cities like Vancouver and Toronto are equally diverse when it comes to the beautiful game. 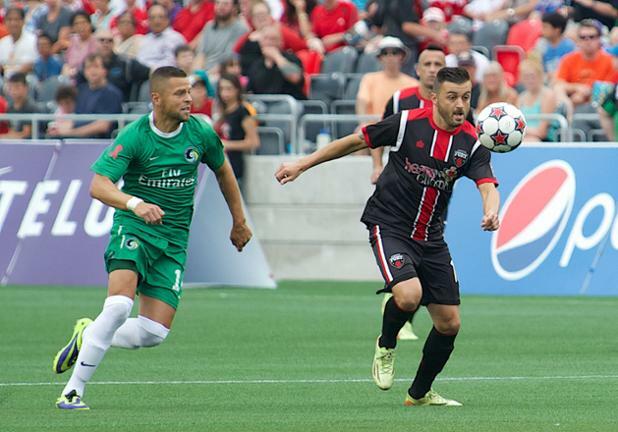 Sinisa would remain in Montreal for three seasons until he signed with the Fury in 2014. Playing in Ottawa meant bringing soccer to a city with a sports history in the CFL and NHL. He was immediately impressed by the city and their soccer supporters. 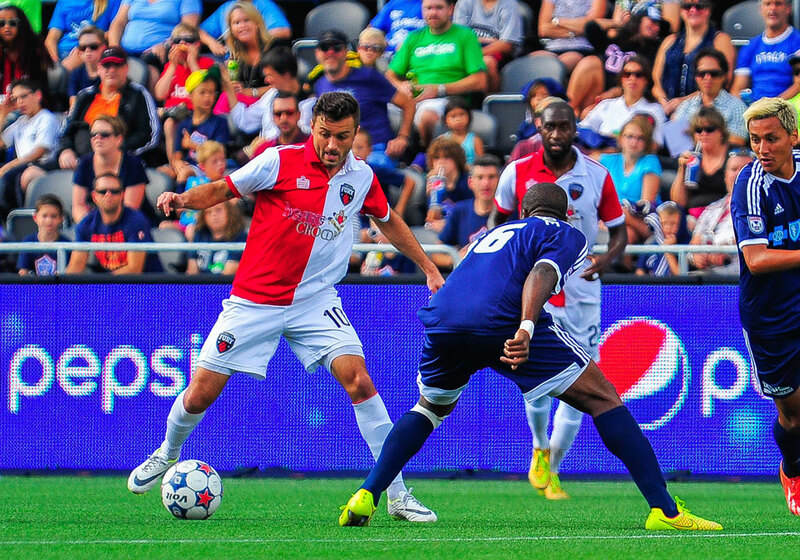 Sinisa admits that the Fury have grown as a team and now have even higher expectations for the 2015 NASL season. He would like to see them improve their record at home, which would allow them to make the playoffs. From there anything could happen. Personally he hopes to be a bigger part of the attack, contributing more assists and goals. This is certainly possible thanks to his enormous talent on the pitch, a point reinforced by his head coach with the Fury. 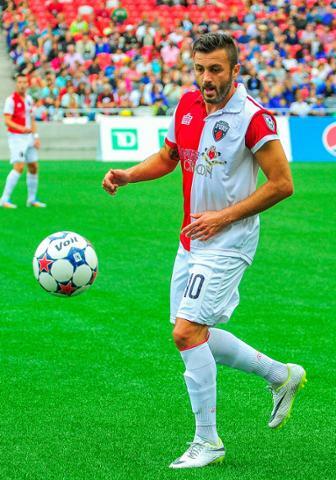 "Sinisa is a player that manages well the tempo in a game,” Marc Dos Santos stated. “He could make a difference with the quality of his pass in the last third. If he's well surrounded, Sinisa could be very dangerous." His talent on the pitch is certainly matched by his passion for the game as a whole. He has played a major role in promoting the game in Canada, knowing that the game there has a great deal of potential. He hopes that the NASL draws more sponsors and gets a TV deal so more people can experience their game at a high level. He sees the league moving in the right direction, but admits that the Canadian National Team could use some more resources to grow and develop players at the international level. He doesn’t see much of a talent gap between NASL and MLS, having spent plenty of time in both. MLS benefits from having loads of Designated Players with the rest of the roster nearly equal to the NASL. Sinisa hopes to join the coaching ranks when his playing days are over. It’s likely that pro, college, and youth programs will be lining up for the services of the Zenica, Yugoslavia native. He is very receptive about working on the management side of the game and is excited about being an influence for younger players. He is very supportive when it comes to professionalizing youth coaching. He sees that parent coaches have good intentions, but youth players need professional coaches to fully develop their game. He is excited about the future of the game in North America, noting that there are so many players now involved with the sport. The numbers alone are a sign that the sky’s the limit for the beautiful game moving forward. The same can be said for Sinisa Ubiparipovic; the sky’s the limit for the talented midfielder that started it all back with Cleveland United.